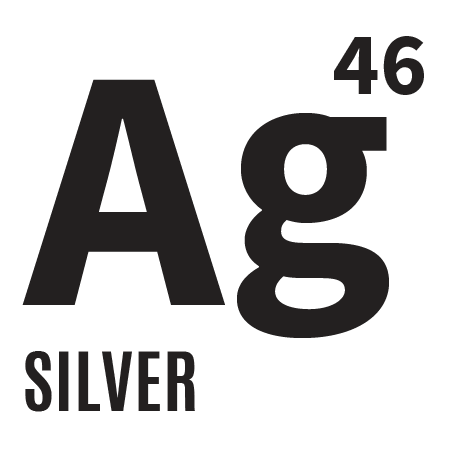 SILVER | Gescina The Chemistry of Nature Inc.
…Colloidal Silver is the mainstay of good health. Whether taken as a defense or preventative tool against germs, viruses, bacteria, allergens or pathogens, Colloidal Silver is the body’s best and long- tested natural antibiotic alternative. It tracks down single celled invaders and eradicates them by a mode of suffocation, leaving no survivors to mutate to become immune to the treatment. It also accelerates the regrowth and healing of damaged skin, soft tissue, bone and muscle; and assists in successfully boosting and magnifying the body’s own immune system. For Burns, Bights, skin rashes, eyes, nose & throat and to accelerate all healing through out the entire body (www.alchemists workshop.com, …Pure and simple). 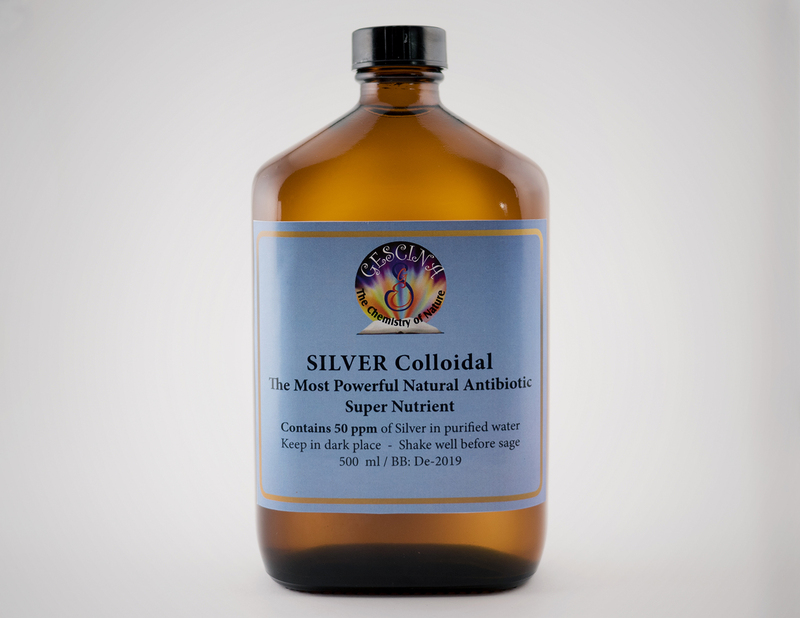 Colloidal Silver- is undoubtedly, the most powerful natural antimicrobial agent that is gaining in popularity. It assists the human body in proper functioning of brain, liver, blood vessels, glands, bones and tissue. Silver helps to repair damaged cells, participates in many bio-chemical processes as catalyst, carrier of vitamins, active Oxygen and nutrients to cells. In many cases, colloid Silver can be more effective in the presence of Gold, Platinum and Copper. Choice of concentration and dosage of Silver depends from personal conditions and physiology. It is almost insoluble in water, as all rare mineral supplements – Gold, Platinum, Palladium, Copper, but can be introduced into it by selective electrolysis in very small sizes (2 to 500 nm) and very small amounts, from 2 to 1000 ppms (parts per million). Gescina’s colloidal Silver concentrations vary from 20 to 150 ppm. In few cases, we make colloids with other concentrations (to be pre-ordered). 50, 100, 250 ml plastic or cobalt glass sprayers with concentration of Colloidal Silver 50-150 ppm. Packaging- 250,500 ml amber or blue glass bottles, 100,250 ml plastic and glass sprayers.